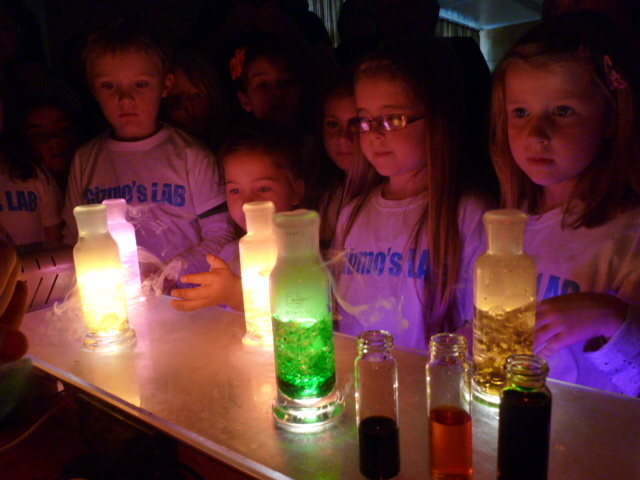 Let’s build a mind blowing Kids Science Party together! Well, It’s Just fantasic watching the kids eyes just light up! Well worth it, you did a fantastic job – just keep up the good work! Just wanted to thank you again for a truly fantastic party today for our daughters birthday. She was totally overwhelmed by the awesome experiments and the party is sure to be talked about by her friends and Isabella for a long time. The parents who stayed during the party commented on how brilliant the party was and one little girl said it was the best party ever! I agree with this too, it definitely was the most organised and action packed party we have been part of! We have been very impressed with Gizmo Labs and how you have kept in touch running up to the party and talking through your plans for the party. We will be sure to wholeheartedly recommend you to anyone who is interested in having a science party. Thanks again for a fantastic party, memories made to last a lifetime! Today we had a party for our 7 year old, it was absolutely amazing! The presenters really made the day!